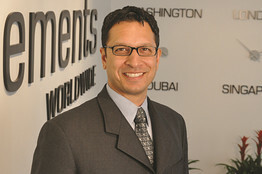 Tarun Chopra is the chief financial officer of global insurance provider Clements Worldwide. He spoke with CFO Journal’s Emily Chasan about how to plan for potential crises and disasters, and how to know the difference. Q: As an insurer, your business is about mitigating risks for other people. How do you handle your own risk management? A: One thing CFOs hate is variability in results and that is always the underlying concern from a CFO perspective. In the risk management space, you focus on how to control that variability. When we look at our risk management strategy, one thing we try to do is figure out what is a crisis, when it comes down to it, and how is that different from a disaster? Both can have the same impact at the end of the day, but those are two very different things. A disaster is an event, but a crisis is a situation. Q: If they have the same impact, what makes a disaster different from a crisis, and do you have to plan for each event differently? A: Disaster is always about recovery, so that’s why you have a disaster recovery plan. A crisis always needs to be managed. Most well-managed companies are very good with disaster recovery plans. If there’s an earthquake, a flooding, or a tsunami, you have a business continuity plan and most companies are great at coming up with those plans. They think through it. But crisis management is an area where companies don’t tend to focus a lot of time and effort. They don’t have that same realization. As managers and individuals running the company, you feel confident and you feel proud of the fact that you can manage through a crisis, and most companies do that. But more often than not you don’t make your best judgments when you are in that crisis. By definition a disaster is very specific. It’s either a natural disaster or man-made disaster. You can define it. In a crisis, there is no limit. There is no specific categorization. It can range from the Target data breach, to Coca-Cola introducing “New Coke,” to an employee going rogue and saying something online. The kind of crisis varies, but if you have key mitigation plans in place you know what your course of action is going to be in any sort of crisis. You have to have gone through the thinking as to how best to mitigate it. Q: How can you do that internally? Is it something you’ve been able to implement on your team? A: Ideally, what you should be doing is having a crisis management plan much before a crisis occurs. When you’re working with a cool mind and you’ve thought through different possibilities you tend to come up with better solutions and better plans for mitigating that crisis. When a crisis hits, you should not be spending your time thinking of solutions, you should be spending your time implementing those solutions. That’s something we are seeing more of, and that’s something we have embraced at Clements. We have our own business continuity plans, but from a crisis management perspective we look at potential scenarios that can impact us. One of the things that we look at is something like the Target data breach. When incidents happen, we say, ‘Okay, what if that happens to us.’ We are not in that crisis, but given the fact that it has happened to others it can happen to us. It’s like a fire drill. You’re basically going through a drill and saying, if something like that happened to us, these are the steps we would take. Q: How regularly do you do this, and is this just a finance team exercise or do you get involved with other groups in the company? A: We’ve got a thought leadership group that comes together anytime an event like this happens. It’s not just on the finance team. This is much bigger than the finance team. This is strategy. The finance team comes into play for the actual loss. For example, they’d go through an exercise and say if you were Target, how do you estimate what is the actual value impact? If a company had a publicity crisis, what impact would it have on our sales and what impact would it have on our costs? It’s more than just the financial piece and the revenue and sales. A lot of crisis impact is on intangibles, like your brand value and your customer value and those are difficult to project. But if you build a framework around it, at the end of the day, everything can be translated into revenue and expenses. You make educated guesses. Our planning cycle is updated just like any other company on a quarterly basis. We update our crisis planning on any potential changes in the market. Q: Are there any other units where you’re using this type of planning and role-playing strategy? A: We tend to focus more and more time on compliance. That has become a big theme for us, so much so that we have set up our own compliance group, which is pretty much on a day-to-day-basis taking care of compliance needs. Just like you have your marketing arm, which is doing market research and watching out for competitor’s moves, you have the compliance team watching out for regulatory moves and regulatory needs. They stay on top of what’s changing from a regulatory and legal perspective so we can plan for it.